Regent Park Film Festival running November 20-23, 2019. Every year, we welcome films of all lengths and genres that reflect the multitude of experiences that make up our cities and communities. The Regent Park Film Festival is especially dedicated to showcasing works by Indigenous filmmakers, Black filmmakers and filmmakers of colour, as well as works by Trans, Queer, Female identified filmmakers and filmmakers with disabilities. We encourage works from local, national and international participation. General Program: Features works by filmmakers from Indigenous filmmakers, Black filmmakers, and filmmakers of colour and/or films that explore themes of difference and solidarity, immigrant experiences, urbanization, cultural identity and resonate with the inner-city, community based, transnational and varied realities of Regent Park and similar communities in Toronto, in Canada, and all over the world. Emerging Directors Spotlight: Features works created by local emerging filmmakers. This program encourages self-representation and seeks to promote dialogue within the community, as well as among the guest youth filmmakers from Regent Park and other parts of the world. School Program: Features works suitable for or Grade 1-8, featuring themes relevant and engaging for youth. This program encourages self-representation and seeks to promote dialogue among students, educators, filmmakers and the wider community. All lengths and genres will be accepted. Films in foreign languages must be subtitled in English. Questions about the submission process can be sent to info@regentparkfilmfestival.com or you can call our office at 416-599-7733. Complete festival submission form and include all support materials. Send preview copy as a web link. Please follow instructions in submission form to include link and associated password. All filmmakers will be contacted about their submission status in September, 2019. 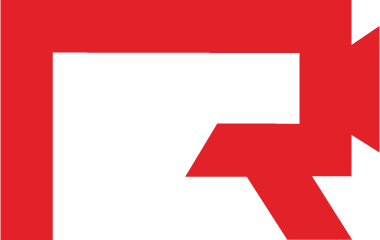 To submit your film to the 17th Annual Regent Park Film Festival, please complete this form by Tuesday, April 30, 2019 at 11:59pm.